New Directions Publishing Corporation, 9780811217354, 111pp. Alexander Kluge turns 75 in autumn 2007, and to celebrate he will be the Special Guest of Honor at the 75th Venice Film Festival, showing his films in the Grand Salon; he will enjoy a MoMA retrospective; Facets Multimedia will launch DVDs of all his dozens of movies and all his TV work and New Directions is proud to present his new fiction collection, all about the cinema. 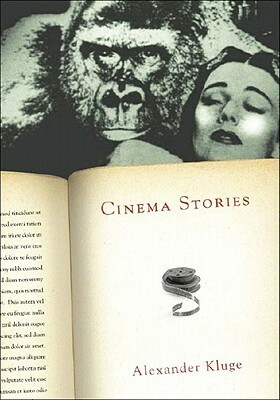 The thirty-eight tales of "Cinema Stories" combine fact and fiction, and they all revolve around movie-making. The book compresses a lifetime of feeling, thought, and practice: Kluge--considered the father of New German Cinema--is an inventive wellspring of narrative notions. "The power of his prose," as "Small Press" noted, "exudes the sort of pregnant richness one might find in the brief scenarios of unknown films." "Cinema Stories" is a treasure box of cinematic lore and movie magic by "Alexander Kluge, that most enlightened of writers" (W. G. Sebald).